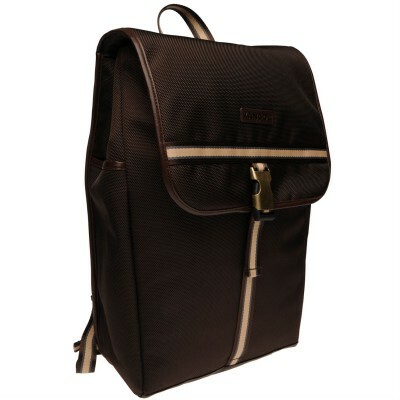 Must haves can be carried with ease and in style in this Kangol Autumn Backpack, designed with a clip fastening front, popper expandable sides, two touch and close adjustable side pockets, two adjustable and padded back straps and a top carry handle. Colour contrasting accenting and Kangol branding complete the look. > и мягкие задние ремни и верхнюю ручку для переноски. Цветной контрастный акцент и брендинг Kangol дополняют внешний вид.